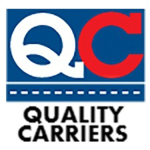 Not every company can trace its beginnings back over 100 years, but Quality Carriers can. We have been in the business of transporting goods and materials since 1913, when our founder, B. F. Leaman, started this company with a single Pierce Arrow truck delivering lime and milk around Lancaster County, Pennsylvania. From that time up to today, Quality Carriers has built a reputation for safety, honesty, quality, reliability and industry expertise by capitalizing on the opportunities to serve some of the world’s best and biggest companies. Working with industry leaders like Dow Chemical Company, Shell, Procter & Gamble, E.I. Dupont, and PPG Industries provides ample opportunity to prove the strength and merits of our company’s services, as well as the quality of our employees, especially our drivers.